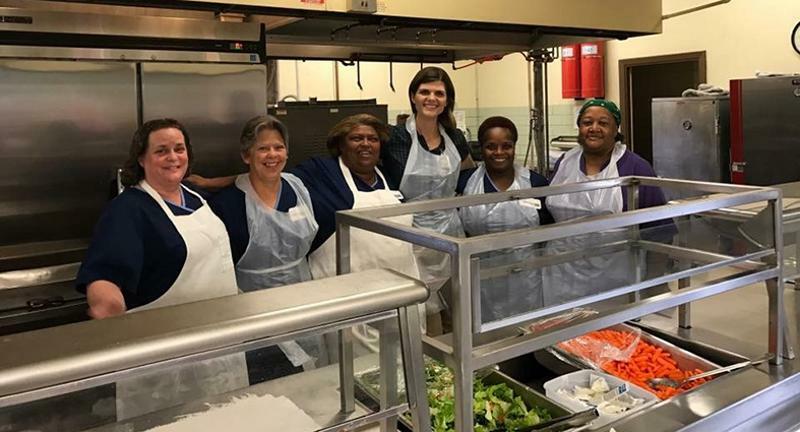 When Dr. Shannon LaFargue looked around the cafeterias of Lake Charles, La., school district, he just didn’t see a lot of excitement. Some students were tossing most of certain meals in the trash, and their parents complained the menu was too repetitive. 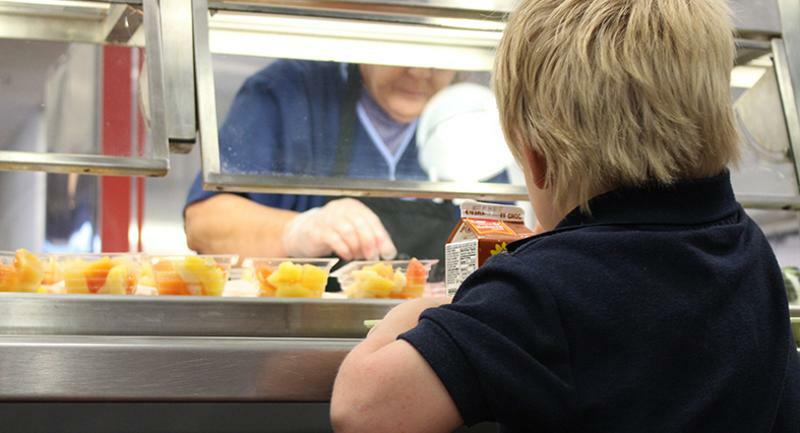 The staff was limited somewhat by federal menu regulations—more than half of Calcasieu Parish’s 58 schools qualify for free breakfast and lunch. But LaFargue and his team recognized they needed to make some big changes. 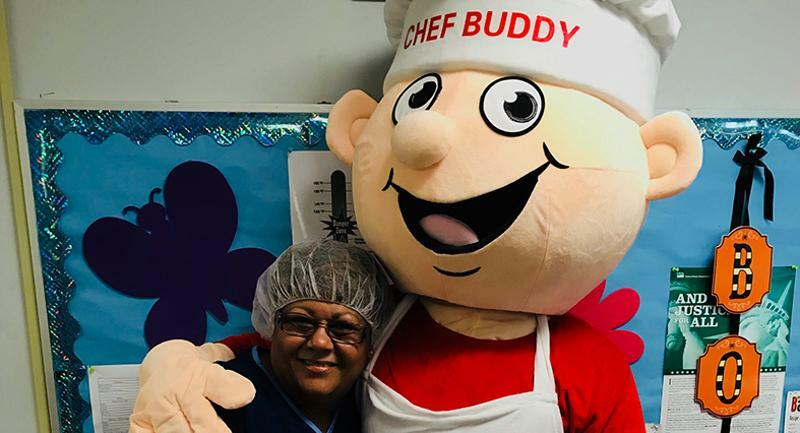 They developed what they called the “two chefs” plan, which involved foodservice mascot Chef Buddy and a real live chef, the first such position in a Louisiana school district. Read on to see how the district forged its plan and put it into action. The two chefs plan turned out to be exactly what Calcasieu needed. But it took a lot of work to get there. The plan, which was hatched during discussions between LaFargue and the then-new Nutrition Program Director Jacqueline Richard, included five core goals for transformation: increase participation in meals; improve food quality; build relationships among staff and between staffers and students; foster creativity; and increase nutrition-related knowledge. LaFargue suggested a food-focused mascot. He had previously served as principal at a high school that developed a mascot. School spirit skyrocketed, and that kind of energy was exactly what he was hoping for across Calcasieu cafeterias. And with that, Chef Buddy was born. Richard was thrilled—until she saw the $10,000-$15,000 price tag for professionally made mascots. The risk paid off: Chef Buddy looked great, his name emblazoned in bold caps on a chef’s toque above his smiling face. Even greater was his effect on students. But for Chef Buddy to be a success, of course, he needed exciting new menu options to promote. That’s where the other half of the two chefs plan came in. After a grueling two-hour presentation by Richard to the school board, the parish agreed to hire a real chef. They selected chef David Savoie, who, with a background in restaurants, quickly developed new recipes and introduced fresh techniques to the nutrition program staff. The parish also moved to a four-week menu rotation from three weeks, which significantly cut down on complaints about repetition of meals. 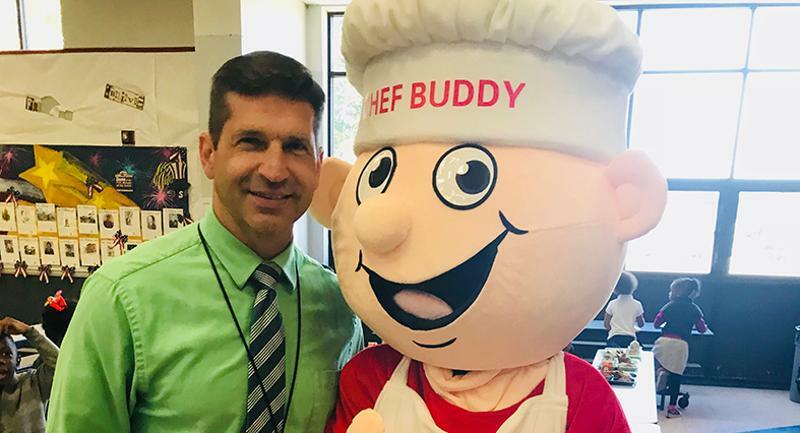 To gauge that excitement, the parish runs taste tests in the cafeterias several times a year, with Chef Buddy in tow, naturally. Students try new foods and share their opinions. Richard also polls the staff on these potential new items. Sometimes, the simplest changes have the greatest impact. For example, the district upgraded to a 2-ounce, whole-grain biscuit that costs 1 cent more than its 1-ounce predecessor. It has been much better received than the previous biscuit, which represented a disproportionate number of complaints. 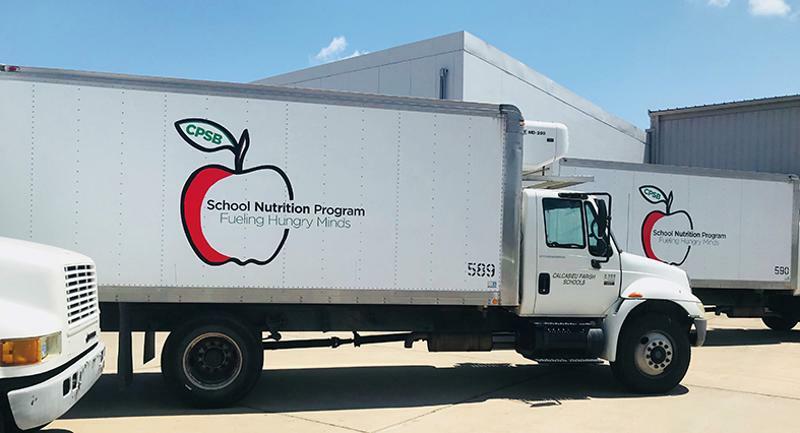 Of course, Calcasieu operators never expect to be complaint-free when feeding tens of thousands of children. But the team is pleased with their progress so far. 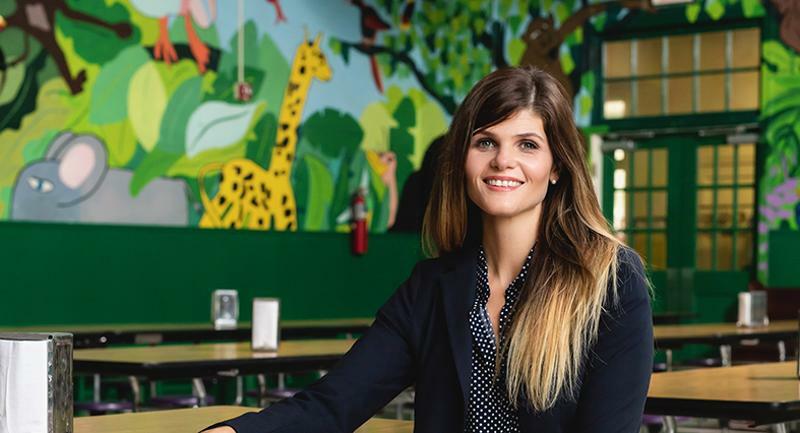 “Having a little patience is important because you need to understand transformation takes time, but don’t use time as an excuse not to do anything,” LaFargue says. For FSDs overwhelmed by the need to change multiple aspects of their businesses, LaFargue recommends setting top priorities first and exploring multiple avenues to meet those goals. “Consume everything you can, from literature to YouTube videos to talking with other operators across the country,” LaFargue says. “Because once you’ve set your essentials, you’ve got to open your mind beyond the way you were trained, and explore all the unique ways you can achieve those core goals. Q: What are your goals for the coming year? A: Increased participation in breakfast. We want our students to start the day well-fed and ready to learn, so we’re creating more grab-and-go types of breakfasts for students who want to eat in the courtyard or need something fast when they come in late. We’re also launching a Lunching with Law Enforcement program, inviting state and local police to eat with students in our cafeterias. Q: What’s the key to your team’s success? A: Diversity of thought. I came from hospital nutrition and am significantly younger than most people I work with. Others have worked solely in schools and have 30 years of experience. So our ideas come from all points of view. We’ve also done a lot of work on our social media. On our Facebook page we post menus, pictures of food and staff, recipes and healthy tips. That’s helped tremendously with promoting a positive message to parents, students and faculty. Back of house solutions that help operators mitigate some of these risks may hold the key to improving cost, performance, and ultimately the guest experience. Teenagers make healthier choices in the cafeteria when they see junk food marketing as manipulative, researchers say.